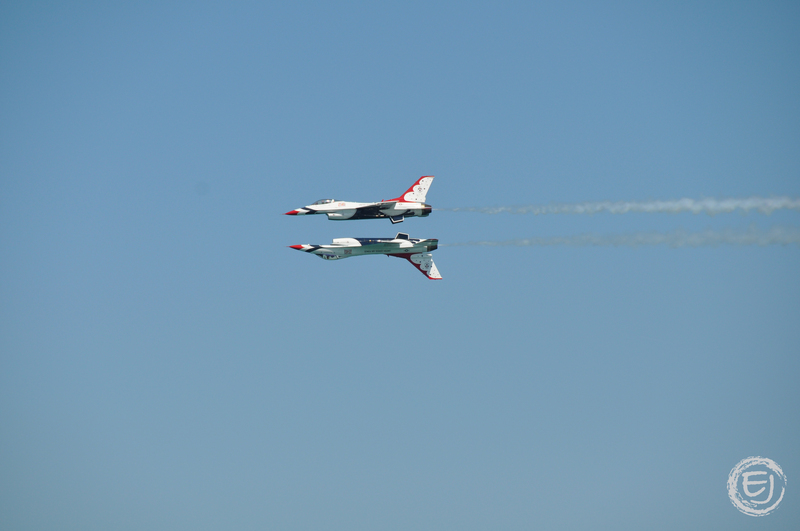 Thunderbirds fly through the sky in a way that represents a mirror image of the other. The Thunderbirds continue to represent all Airmen across the globe. The Team is made up of over 120 personnel. The primary Thunderbird mission is to represent the Pride, Precision and Professionalism all Airmen demonstrate. From the ground show to the breathtaking aerial maneuvers, the Thunderbirds continue to represent America’s Airmen. This entry was posted in Amusement, Chicago, Festivals, Life and tagged Chicago Air & Water Show, Thunderbirds. Bookmark the permalink.